Join us on Wednesday, April 18, as we take a look at three areas that impact your ability to run a successful non-profit organization. As an association executive you need to be up to speed on finance, accounting, and government issues. 2018 brings some new challenges and accounting standards you need to know about. This summit focuses on three critical areas: Government Relations, Pros and Cons of Outsourcing and the new Financial Reporting Accounting Standard. The Not-for-profit industry has witnessed a decade of increased funding and extensive oversight. The combination of the two brought about many complex issues including new laws, accounting guidelines, updated governance and internal control expectations and compliance requirements. Management, finance, development, HR and of course the Board of Directors all need to be in tune with these changes in order to operate its programs harmoniously in a manner consistent with the public expectations. In addition to the government manuals and guidelines there are also government expectations stemming from interpretations of the law, whereby, if a not-for-profit does not operate I accordance with those expectations they may be perceived as misappropriating government and/or public funds. This session will address these items and is intended to be interactive and extremely informative. Ethan is currently a partner at Mazars USA with 20 years of experience delivering audit, accounting and consulting services to a range of clients in the not-for-profit and the government funded sector. He provides clear and sound advice to finance, senior management and Boards of Directors. Ethan has completed financial statement audits, tax filings and financial consulting projects for organizations ranging from small organizations to organizations with 100’s of millions in revenue. Ethan has chaired the Tax Exempt Organizations Committee for the New York State Society of Certified Public Accountants (NYSSCPA) for three terms and the NYSCCPA Tax Exempt Organizations conference for six years. He has a BS in Accounting from Touro College. Recent changes in the tax law may impact nonprofits in different ways: decreasing donations and increased unrelated business income taxes. Nonprofits can be proactive by communicating with donors and focusing on charitable giving strategies and planned giving. In today’s financial and political environment, Nonprofits are forced to rethink fundraising techniques and work with donors to "Plan their Giving". By joining forces with donors' professional advisors, outside fundraising and giving consultants, nonprofits can leverage charitable giving strategies that encompass both traditional "Planned Giving" vehicles as well as traditional "current giving". Nonprofits can be proactive by communicating with donors and focusing on charitable giving strategies and planned giving. While the IRS has not yet provided any guidance with respect to defining a separate business activity we will take a look at the variety of unrelated business activities that are impacted by this change. 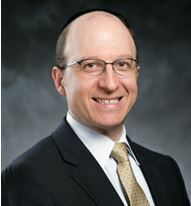 Amish is a partner and the not-for-profit practice leader at the accounting firm of Friedman LLP. Amish’s clients have included well-known trade associations, social service organizations, higher education institutions, private foundations, cultural institutions and religious organizations, among others. His experience includes seamlessly transitioning new client engagements, developing and overseeing the planning and execution of the firm’s tailored audit approach, responding to evolving regulatory requirements, providing advice to clients on enhancing internal controls, sharing industry-best practices and updating clients on issues crucial to the not-for-profit sector, ensuring transparency in financial reporting and disclosure, performing financial statement, Uniform Guidance and employee benefit plan audits. Amish has served as a writer of training materials and an instructor in audit methodology and not-for-profit service issues for staff at all levels of experience. He has also serves as a reviewer in Peer Review and Risk Quality Reviews of audit engagements with a focus on not-for-profit institutions. Amish is an active contributor to Friedman’s Nonprofit Advisor newsletter. 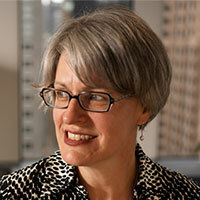 Sarah Avery is a Director at Friedman with more than 30 years of industry experience. Sarah specializes in audit and tax compliance for not-for-profit organizations and is a contributing writer to the Friedman Nonprofit Advisor newsletter, and has also been published in the Non-profit Times Exempt magazine, the New Jersey Society of CPAs Pulse newsletter and New Jersey CPA magazine. Sarah recently spoke at the Morris County Chamber of Commerce Nonprofit Roundtable on current tax reform, was a featured speaker for National Business Institute on Form 990 and UBIT issues, moderator for the Association of Fundraising Professionals 2016 Whitley Lecture for the CFO panel, featured speaker for New Jersey Institute for Continuing Legal Education on Exempt Organization noncompliance and examination issues, and is a distinguished faculty member of Lorman Education Services. Sarah serves as a trustee and as an advisory board member for a number of non-profits. What are the pros and cons of hiring an outsourced accounting professional? 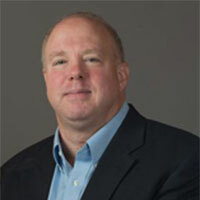 Neil will discuss the advantages to an organization of engaging an outsourced professional. They include the hiring of a trusted advisor who will provide honest, impartial advice to company management along with the cost effective nature of paying only for the services that are needed without the higher costs of hiring full-time employees. Understanding the level of the work to be done helps guide your decision. Brief descriptions of roles and responsibilities at different levels will be included. Neil Miller has over thirty years of diverse financial experience working for organizations of all sizes, specializing in non-profits. 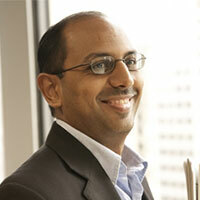 He has served as the outsourced Controller for small to mid-size businesses for the last 12 years. Neil is a Certified Public Accountant and Certified Internal Auditor and holds an MBA in Finance. For Nonprofits, adoption of ASU-2016-14 is effective for annual financial statements issued for fiscal years beginning after December 15, 2017 and for interim periods within fiscal years beginning after December 15, 2018. This session will cover the key areas of managing the adoption of the changes such as Allowing free choice between direct method and indirect method in presenting operating cash flows, Improving presentation and disclosures for net asset classes, Enhancing information about the liquidity and availability of financial resources and more. Joseph A. Arnone, CPA, CGMA, is a senior audit manager at CohnReznick. He is a member in the Firm’s Not-for-Profit and Education Industry Practice and has more than 14 years of diversified public accounting experience. Joe manages all stages of the audit process, including planning, fieldwork, supervision and review, and communications with management. He prides himself on being visible and accessible to his clients throughout the year. Joe has extensive experience serving entities in a variety of industries, including not-for-profit, healthcare, and insurance. His clients include foundations, associations, low-income housing entities, educational institutions, and other not-for-profit entities with domestic and international operations, and revenues ranging from $10 million to over $500 million. Joe has extensive experience in serving clients that are subject to the Uniform Guidance. 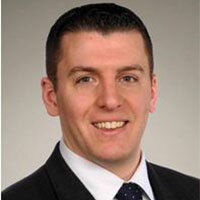 Prior to joining CohnReznick, Joe was an audit manager with PwC LLP. Catherine Syslo, CPA, is a Director of Quality Control with CohnReznick, specializing in audits of not-for-profit organizations, including Uniform Guidance. 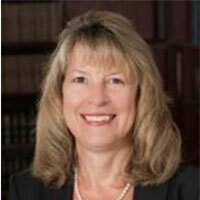 She has over 25 years of experience in both the public accounting and private sectors. Catherine began her career with a Big Four firm, where she gained experience in a broad range of industries including financial services, manufacturing, professional service firms, and not-for-profit organizations. She has taught and presented in both internal and external webinars, as well as industry roundtables on recent accounting pronouncements affecting the not-for-profit industry. Catherine is currently serving a two-year term as the Chairperson of the Not-for-Profit Interest Group of the NJCPA. She has served on the Boards of local not-for-profit organizations, as well as volunteered for numerous church and school organizations. The NYSAE Synergy Awards Luncheon begins at noon, immediately following the Summit.